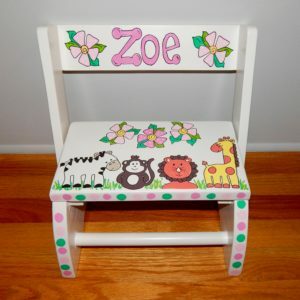 Help your little one keep her hair bows organzied with our hand painted and personalized white framed mirrored bow holder. Attached to the bottom are four pink ribbons with wooden hearts at the ends adding to the decor. 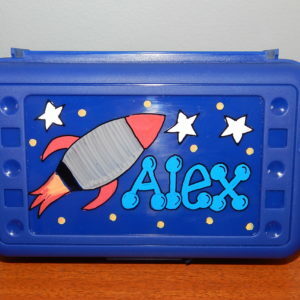 Personalized with your child’s name and decorated in one of our many of our fun and whimsical designs.